At its heart, insurance is simple – it’s all about “peace of mind”. When something goes badly wrong, you need help from someone who cares - no ifs, no buts. When you call us we won’t ask you to "press 1 for a quotation"…filtering out the new business enquiries whilst existing clients wait in a queue…we will treat you as you deserve to be treated. So when you choose CLEAR you will be in the hands of an expert you can rely on, someone you can build a relationship with, who cares and will do the right thing…because these are our values and that’s why we’re different. That’s why 95% of our clients stay with us year after year. We know the jargon-ridden insurance world can be confusing so it’s up to us to make it simple, to work with you to establish the right protection at the right price, for your business, your people or your home. From large international companies with complex needs served by a dedicated team of specialists, to individuals seeking to protect start-up enterprises or the family home, we want to help. Whilst size isn’t everything, it does help. Placing over £120m of premium for our clients gets us the attention of the best underwriters whilst our membership of Brokerbility, the leading network of independent brokers, elevates our status further. Brokerbility members control over £600m collectively, and as one of the largest members, we know the key people at the leading insurers and they know us – handy on those occasions, thankfully few and far between, when things don’t go as planned..
And when something goes wrong, our dedicated claims team know how to get your claim the urgent attention it deserves. Of the thousands of claims we handle each year, from the devastating house fire to life changing personal injuries, just a handful run into difficulties. But how we do business and our reputation for fairness, means you have the best team in your corner and your insurers will listen to us. We hope you’ll only have to ask yourself once, why CLEAR? After that it should be obvious. Behaviour – underpinning all this is our maxim ‘do the right thing’ – when applied to a difficult situation, this simple expression normally shines a light on the obvious response. So, if you don’t find us living up to these values we’d like your feedback. And if you do, we’d love to hear from you. At CLEAR we have a simple approach to achieving successful acquisitions - it's the same as choosing staff and clients, it's about picking the right ones, where there's a meeting of minds. The best deals work for all the key stakeholders - yes, the price must be right, but if it doesn't work for your clients and your team too, then it's unlikely to work for you or us either. So we look for businesses whose owners we can work with because they share our values and want a deal that meets their wider objectives for the continuing success of their business and enterprise. We are open and honest from the start. If we like the look of a business and what it can do to improve CLEAR, we'll make you a good offer and discuss with you any changes we might want to make. We won't rip the heart out of your business, nor will we pretend there will be no change. We integrate the businesses we buy so we can make the enlarged business stronger. We will value you and your team, after all it’s your relationships we are investing in. In our experience of 24 acquisitions since CLEAR's formation, we find vendors reinvigorated by handing over the 'chores' to us and getting back to their clients. Stephen Potter is still with us after he joined CLEAR in 2006, he promised us 6 months when he sold Burgess Potter. He credits his remarkable tenure here down to "feeling my contribution is valued and Howard and Gary remaining true to their promises". We probably aren't the acquirer that can offer you the highest multiple, but if you want to directly influence the successful transition, you'll probably value being consulted and engaged. Above all else we will listen to you and work with you - we don't assume to know better. If this approach sounds appealing contact Gary O'Donnell ACII, Deputy CEO, for an initial conversation in the strictest confidence. We take professionalism seriously but that’s not enough. We also care about people and about doing the right thing. That’s why we became Chartered Brokers in 2013, to demonstrate our commitment to delivering a quality service to you, whilst developing our team and their careers. CLEAR is a registered Lloyd's broker, giving us direct access to a unique pool of underwriting expertise in the Lloyd's global marketplace (the world’s largest specialist insurance market). This means that we are well positioned to locate the best underwriters and negotiate the most favourable contractual terms for those clients who require specialist, innovative or bespoke risk solutions. is the children’s hospice for East and West Sussex, Brighton and Hove and South East Hampshire and cares for 300 children and young adults from 0-19 years of age with progressive life-shortening conditions. Visit their website here to find out more. provides specialist palliative and end of life care for the people of Coventry & Warwickshire. Visit their website here to find out more. gives people the support and opportunities to feel better about themselves, be more active in the community and get back into work. They run a soup kitchen offering hot food and a listening ear. We like to give a hand up not just a hand out through new skills, experience and qualifications. Visit their website here to find out more. is a mental health charity raising money for local schools to train teachers to enable them to spot mental health issues in young children. They also pay for councilors to speak to the children & offer 1 2 1 sessions for those in need. Visit their website here to find out more. raises awareness of sudden infant death syndrome (SIDS), provides expert advice on safer sleep for babies and offers emotional support for bereaved families. Visit their website here to find out more. offers young adults with cancer and their close family the support they need. Their focus is on raising money to offer young adults with cancer and their close family and friends, a helping hand when they need it the most and let them know that they are not alone in their fight. Visit their website here to find out more. provides a day care centre for homeless people where they can have a hot shower, regular GP clinics, food and practical needs i.e. how to fill in forms and IT. In addition from the same premises they run a food bank and provide a HMO for local people with homeless needs. Visit their website here to find out more. 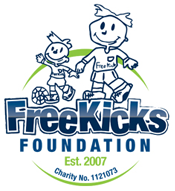 is a Peterborough based charity whose aim is to provide football-related activities for ill, bereaved and disadvantaged children, to give them a day to remember with their favourite football club. Visit their website here to find out more. Our teams across the UK will now begin planning fundraising for their chosen charities, both collectively and individually. They can get an extra day off for volunteering - plus, for each pound they raise, CLEAR will match it (up to a maximum of £5000). Watch this space, as we’ll be reporting on their fundraising efforts as they happen on Twitter, LinkedIn and on our blog. We recognise that communities succeed when businesses contribute, create opportunities for one another and support local initiatives. Similarly, many of the businesses that CLEAR has acquired over the years have been well thought-of and cornerstones of their respective communities. Our roots lie in the Kingston, Wimbledon and surrounding areas, harking back to our original location, New Malden. CLEAR remains actively involved with both the Kingston Chamber of Commerce and Merton Chamber of Commerce groups. As part of our commitment to supporting local charities, we have forged a relationship with Linden Lodge, a school for visually impaired and disabled children in Southfields. We help raise funds for the school and fund events that would otherwise not take place, such as the annual trip to Brighton, which in 2015 was imaginatively relocated to the school grounds, complete with rides and donkeys. CLEAR is also proud to be a Corporate Partner of the Rose Theatre in Kingston, which hosts a diverse and exciting programme and is a valuable addition to the cultural life of the Borough. We sponsor an award for Cockpit Arts, an organisation that supports Arts and Crafts businesses and we have kitted out a number of local football and cricket clubs over the years. 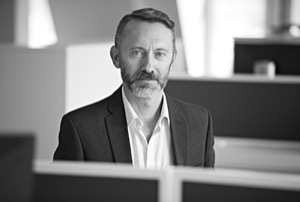 Speak to our Deputy CEO, Gary O'Donnell, to discuss business interests in CLEAR.